When I started my blog, I was hoping it would be a great way to connect with other moms online, to share our stories and talk about the ups and downs of motherhood. I had no idea I would meet so many amazing moms through the blog that would turn in to real-life friends. On Saturday, I was able to spend the night out with a whole room of my blog-friends turned real-life friends at Elm Grove Art's Momma's Night Out. It was such a great night of connecting with other Milwaukee moms over a Pinterest craft and a few glasses of wine. 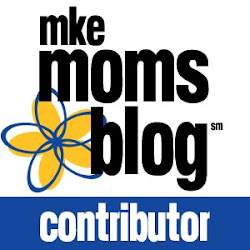 I hosted the event along with Keila from Mommy in Milwaukee and Amber from Milwaukee by Storm, and we were joined by a group of other local moms. 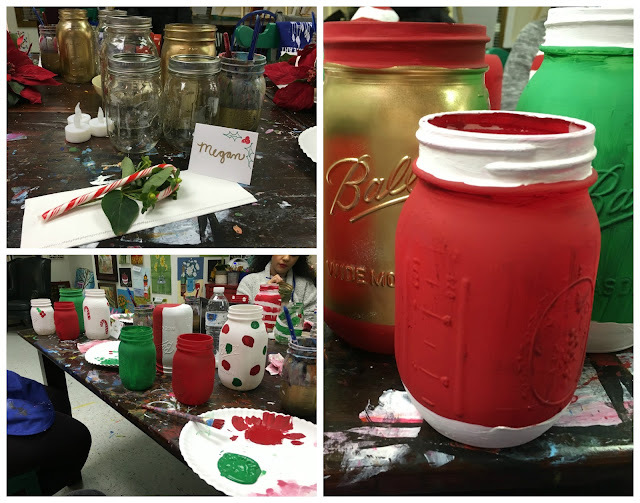 Our craft for the night was painting a set of Christmas mason jar candle holders. I definitely do not consider myself to be an artistic person, so it was so great to paint with everyone else and be inspired by their ideas. While we were working on the mason jars, everyone chatted and got to know each other over a few drinks. It was such a great, relaxing night out. I always really enjoy art projects when I complete them, but I rarely have the motivation to organize all the supplies I need and then clean up after it. So, I totally love when someone else is willing to do it for me. I absolutely love the way my finished mason jars looked. I put them right on my mantle, where they will stay until sometime in January. Now, I can't wait to get our tree and the rest of our Christmas decorations up! Thanks so much to Katy and Danielle from Elm Grove Art for organizing this great event for local moms. They'll be hosting more Momma's Nights Out in the future, so I hope to see you there!